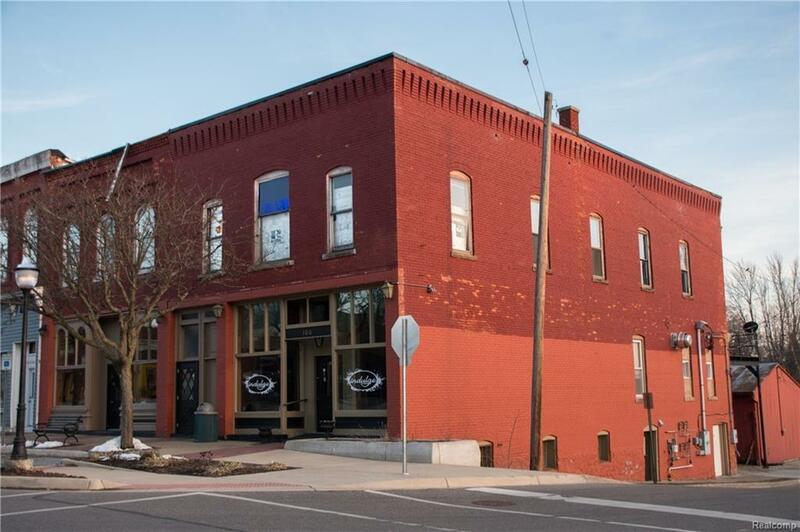 Motivated Seller received this turn of the century versatile building back. Includes 2 store fronts, restaurant, misc equipment, 3 unfinished apartments, and 3 separate walkout basements. Past Cafe, Pizzeria . New roof Additional 1700 sq. ft. on Main Floor Perfect Area for Banquets or a Another Business is just a portion of the potential. Each Space with it's own Access to the Street. Restaurant includes all fixtures, appliances, and chattel currently in the building. Lower Level is Divided into Three Spaces, One is Finished with Office, Storage and Food Space with Walkout Access to Walnut St. The Upper Level has Stairway Access on Main St . Marvelous Drawing/Pocket Doors will add Elegance to any Design. Grants are Available to Add Apartments. Listing courtesy of Remax Platinum.